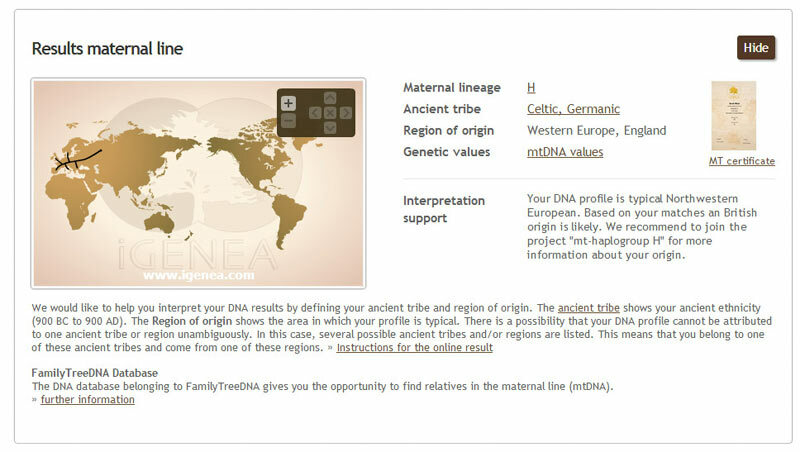 The iGENEA basic test (DNA-Explorer) provides an insight into DNA genealogy. The origin of all ancestors is determined by region and by percentage. 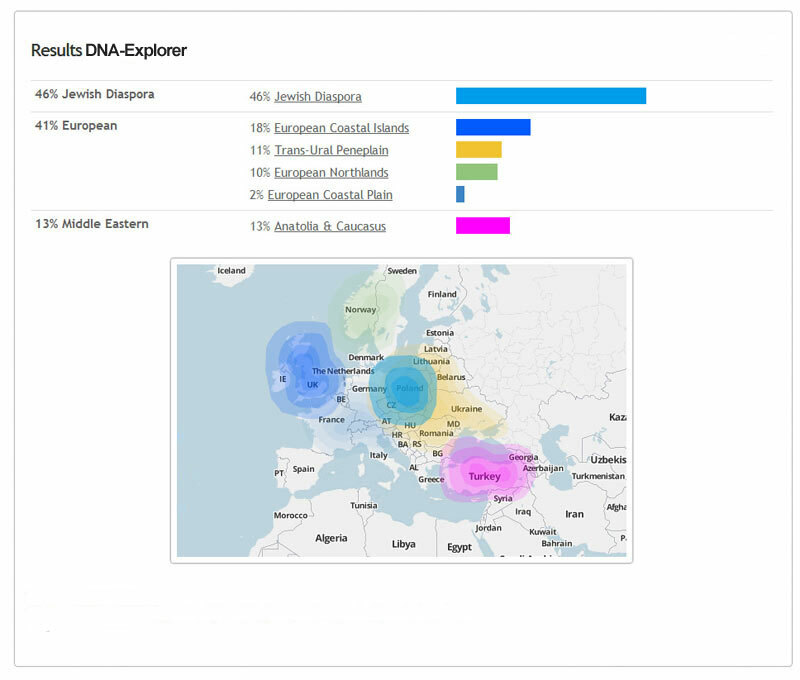 A world map shows your mixed origins. You will receive a written result together with a certificate. Personal access to the world's largest DNA genealogy database enables you to find genetic relatives.